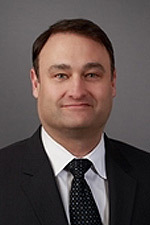 Aaron Caid is the former SVP, Chief Marketing Officer at PLS Financial Services. He joined in 2014 and the next year, in 2015, the company received the prestigious 2015 STAR Award for Exemplary Store Appearance of the Year by the Financial Services Centers of America. The award nationally recognized PLS as a model for the industry demonstrating best practices for store appearances and customer engagement. A veteran of both retail and financial services, Aaron joined PLS from H&R Block where he was the VP and General Manager of Block’s prepaid debit product. Prior to that he spent 5 years at Sears Holdings as the VP and Chief Marketing Officer of SHC’s Financial Services Business Unit. Previous experience includes Citi, Washington Mutual and AXA Insurance. Aaron holds a BA with High Honors in Political Science from the University of Texas and an MA in International Relations from John Hopkins University.